You can attach notes to individual tasks to remind you of certain parameters or details for the task. For example, if a task involves several subcontractors, you may want to list their contact information here so that it's close at hand when you're working on the project schedule. Or, you can use the Notes field to document company regulations that are relative to that type of procedure. When you add a note to a task, you can display the note on-screen and include the note in a printed report. You can also attach notes to individual resources and to their assignments, as you find out in Chapter 5. 1. 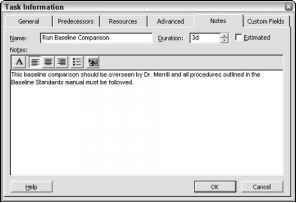 Double-click a task to open the Task Information dialog box. 2. Click the Notes tab, as shown in Figure 4-16. 3. Type your note in the area provided. You can use the tools that are above the description box to format your note text. 4. Click OK to attach the note to your task. Figure 4-16: The Notes tab provides simple word processing, such as tools for formatting your notes. 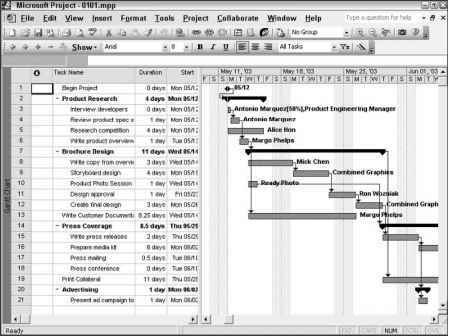 A Note icon now appears in the Indicators column of the Gantt table, as shown in Figure 4-17. Move the mouse pointer over this icon to display the note. 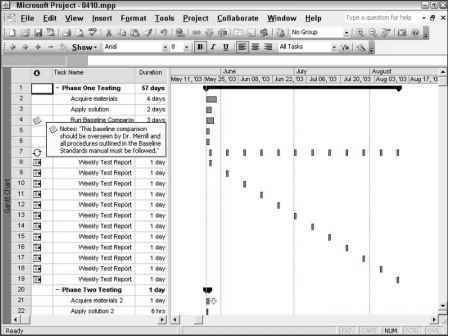 Figure 4-17: Project automatically adds an icon for the note to the Indicators column. 2. Click the View tab to display the settings that are shown in Figure 4-18. 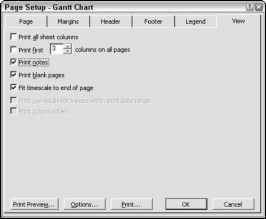 Figure 4-18: Notes appears on a separate page after printing your Gantt Chart when you check the Print notes option. 3. 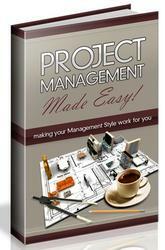 Click the Print notes check box to have Project print notes for tasks. - Cross- You find out more about printing schedules in Chapter 7.